This is the most beautiful wreath I’ve ever seen! I LOVE IT!!! Do you dismantle it ever year and then reassemble the next? My friends would be pretty disappointed if it wasn’t here every December. 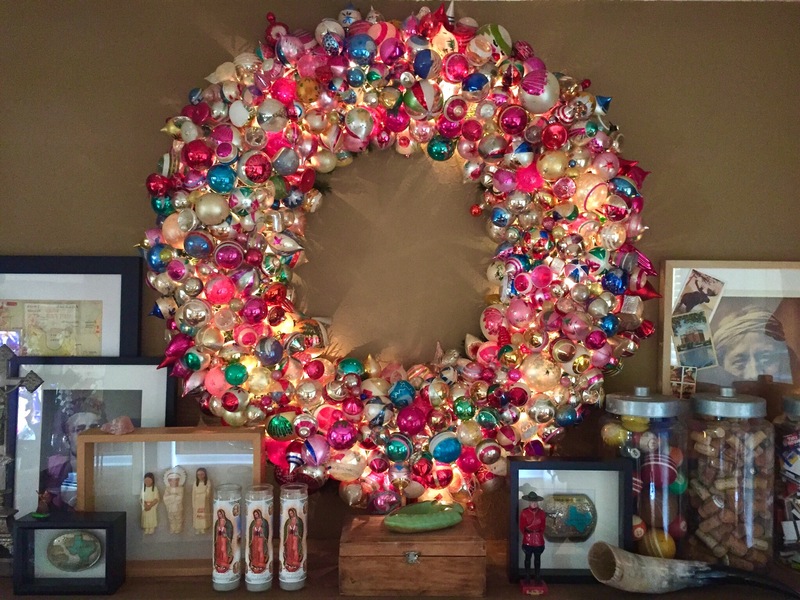 And yes…..I assemble it every December and take it all apart around March-ish every year. Tonight while riding around looking at Christmas lights, I was talking to my husband about your beautiful wreath. When I got home I was checking my emails…and lo and behold…there was an update to your blog about your fabulous wreath. 😊 We are in awe of this beauty! Awwwww thanks Bobbi, my friends/family would all be pretty disappointed too if I didn’t create it every year! Merry, Merry Christmas! Your gorgeous wreath yells out the greeting! I would be tempted to leave it up all year long. Thanks Kathleen, I’m honestly lazy enough to leave it up until early March every year. Does that count? Back at ya Kim! Wishing you the best new year! 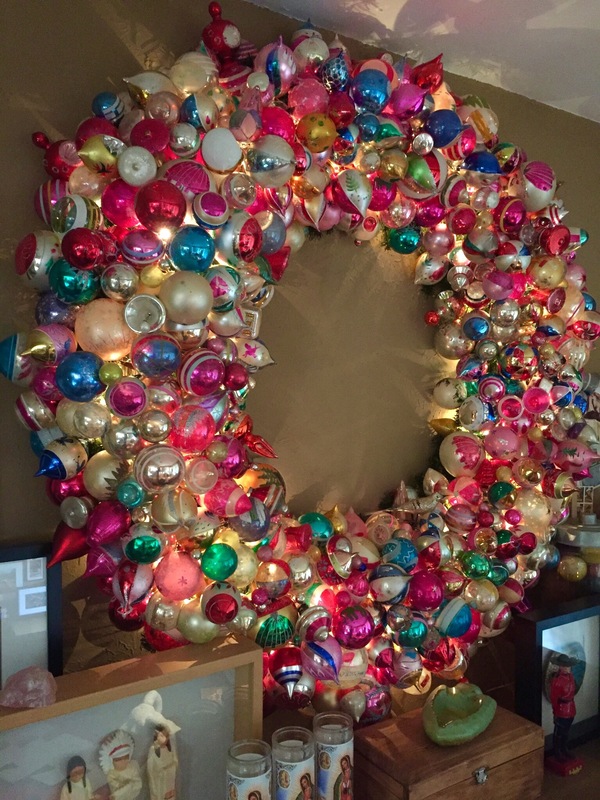 Have you ever considered making this BEAUTIFUL wreath available through artwork? Canvas, Christmas cards, etc? I agree with Cynthia’s suggestion.. this would make a wonderful piece of artwork or picturesque holiday card. Also, what do you use to attach the ornaments? I assume it’s something temporary so they don’t get ruined. Absolutely stunning! Thank you for sharing your talents. I would also love to know how you attach them. Beautiful wreath! 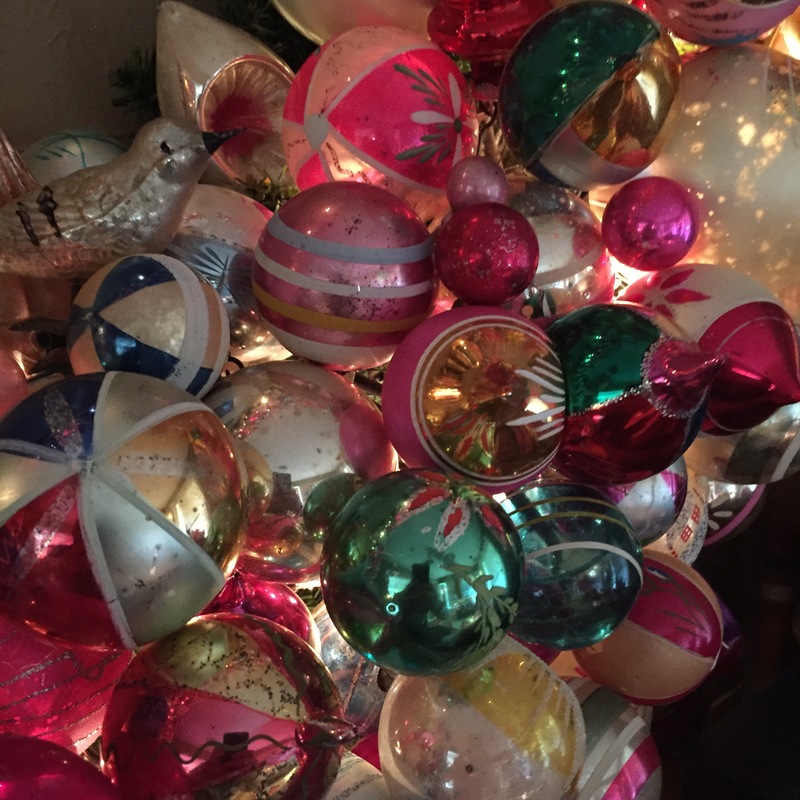 Gorgeous – but I can’t believe you do it every year! Is there not a way you can wrap it in plastic and hang it in a protected attic space or closet in the off-season? I wish. It’s too wide to move……and pretty fragile too. No worries, we about 4 months of enjoyment out of it. This is so beautiful! And like other years I am so filled with awe and admiration that you do this and create something so wonderful. As someone who had to miss Christmas completely this year due to a family emergency this fills me with hope for next year and what I might dream of doing. Really beautiful!! Thank you for sharing this. Beautiful. 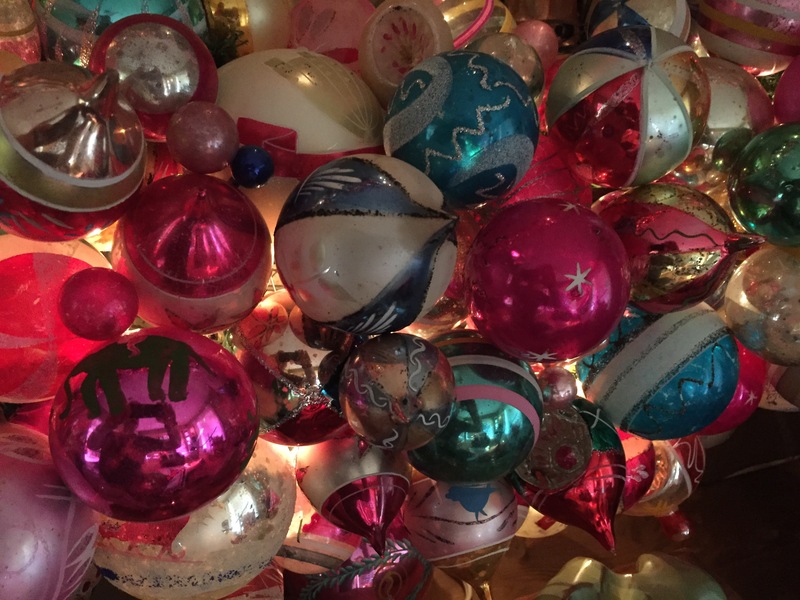 Were do you get all the ornaments? Thanks, I’ve been collecting them for about 30 years now. I get them at thrift stores, eBay, antique shops, garage sales….. and friends and coworkers give them to me constantly because they know I’ll appreciate them. My brother used to flip houses and i would head right to the attic every time to check for them. It’s a commitment.